Mandira Bedi at a revent event wearing a black and velvet dual toned saree paired with a pink border and collar neck blouse with 3/4th sleeves. Mandira Bedi attended Lakme Fashion Week wearing a red and black silk saree with polka dots prints, paired with a black sleeveless blouse. 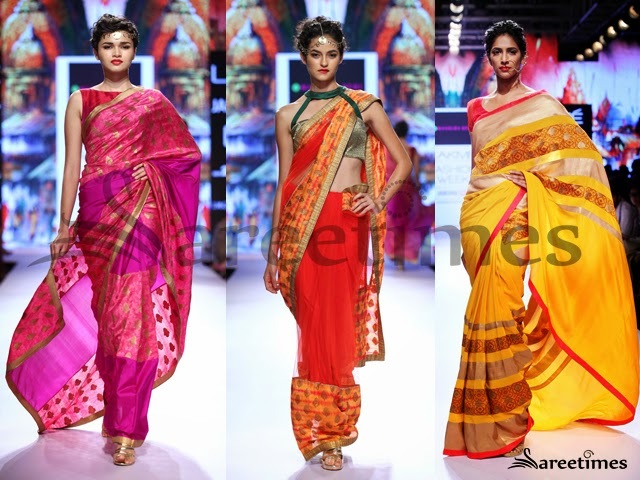 Mandira Bedi in banaras lumiere designer sari at Amazon India Fashion Week. 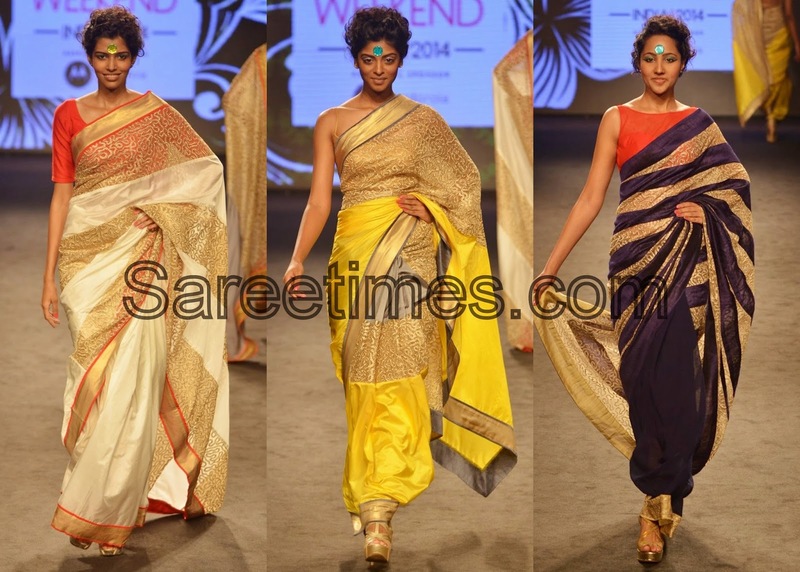 Mandira Bedi at Lakme Fashion Week Resort 2015 in Satya Paul printed saree. Actress Mandira bedi in cream color designer saree with dual color borders with printed designs pallu, paired with contrast pink color sleeveless blouse. Bollywood actress Mandira Bedi attended Satya Paul Disney launch 2014. 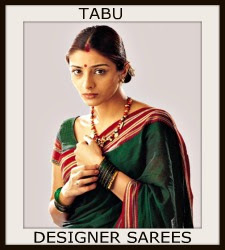 She looked beautiful in Satya Paul saree. Printed designs and polka dots highlighted. Paired with designer halter neck saree blouse. Bollywood actress Mandira Bedi in beautiful yellow and cream designer half and half saree on her own designs. 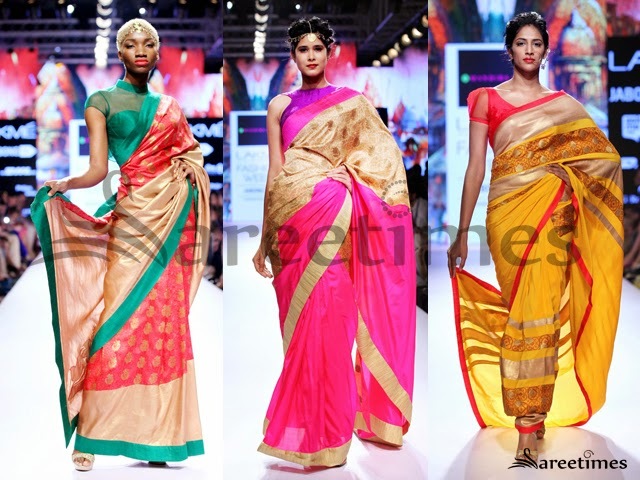 Embellished patch wok designs all over cream net saree and gold border,followed by pink simple line. Paired with designer halter neck saree blouse. 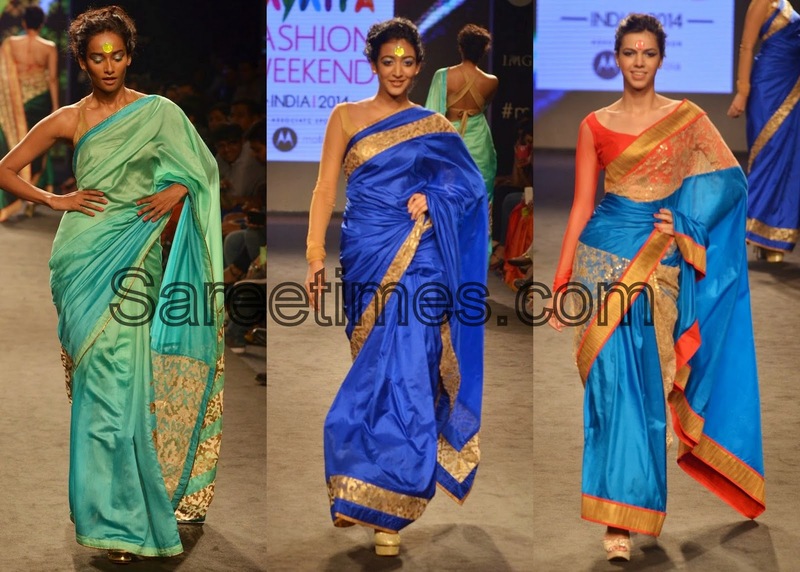 Designer and actor Mandira Bedi new designs at Myntra Fashion Week 2014. 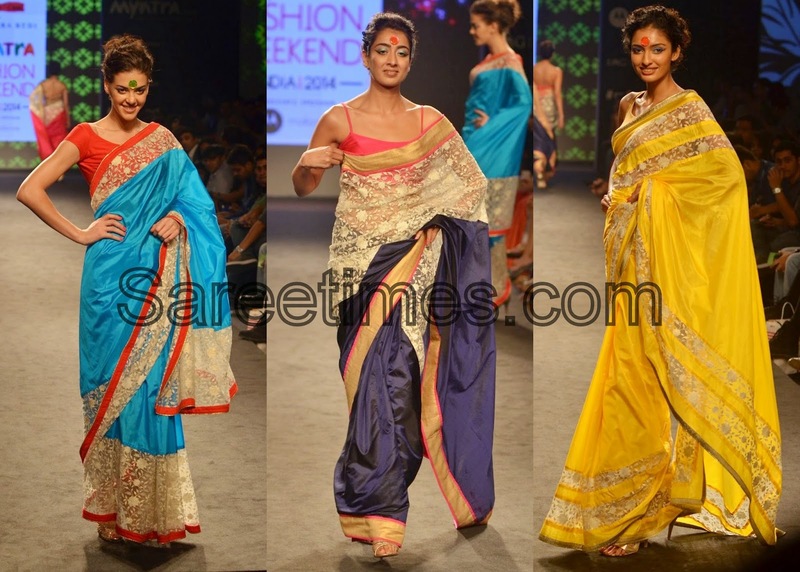 Models walked for the show-stopper for Mandira Bedi's fashion show at Myntra Fashion Weekend. Bollywood actress Mandira Bedi in beautiful black designer saree. 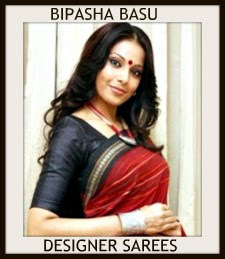 Printed work all over saree with maroon border. Zari work around the border. Paired with black designer sleeveless saree blouse. 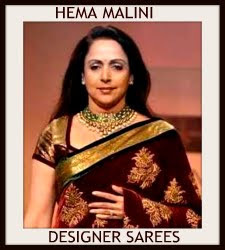 Bollywood actress Madira Bedi in beautiful purple and brown half and half saree with gold border,followed by pink simple line border. 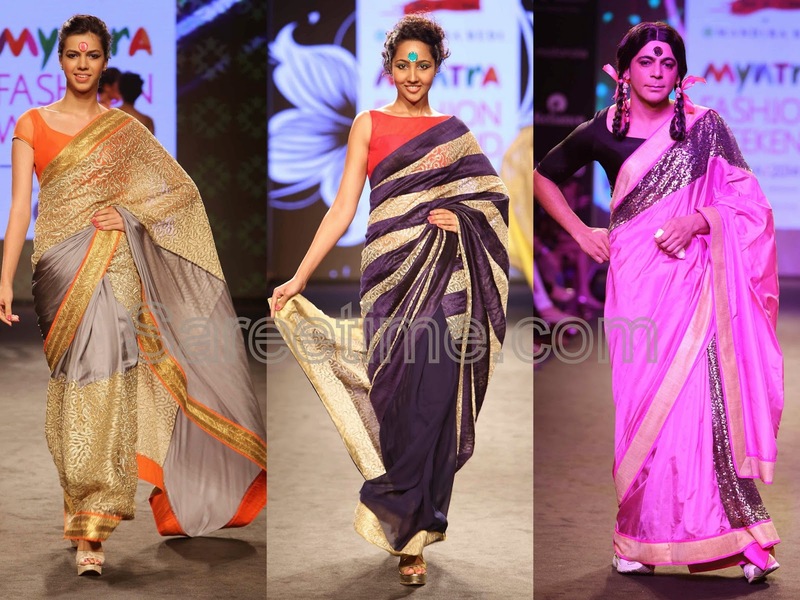 Gold vertical lines all over purple saree. 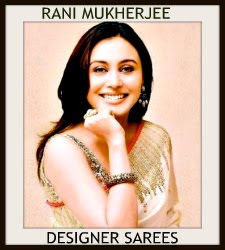 Paired with designer shoulderless saree blouse. Bollywood actress Mandira Bedi in beautiful white designer printed half and half saree. Gold printed designs highlighted and gold border,followed by red simple border. 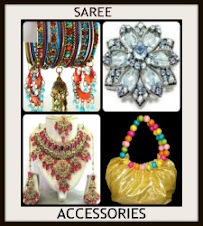 Paired with designer shoulderless saree blouse. Bollywood actress Mandira Bedi in beautiful cream designer printed saree on her own designs at Dilip Kumar’s Book Launch. 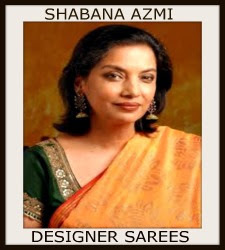 Pink printed designs all over saree and gold border,patch work around it. 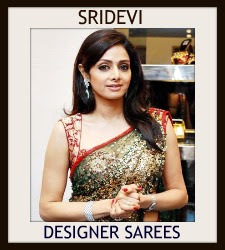 Paired with designer spaghetti strap saree blouse. 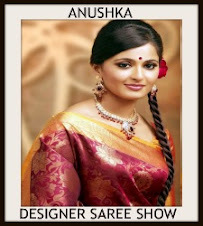 Model walks in beautiful tan designer embellished saree. 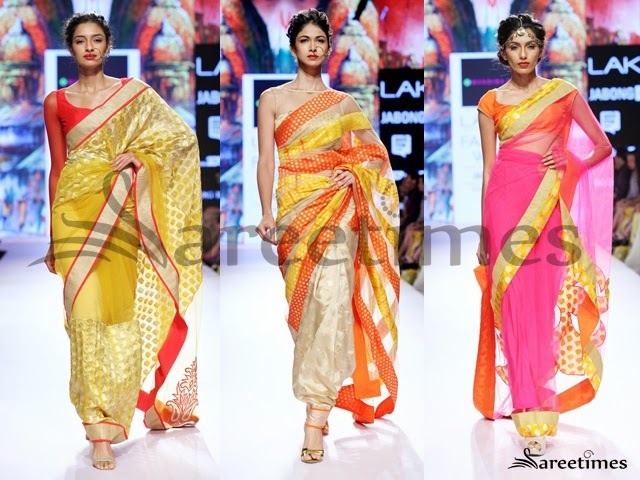 Designed by Mandira Bedi at Day 2 LFW Summer/Resort 2014. Gold embellished leafs through put net and pink plain saree. 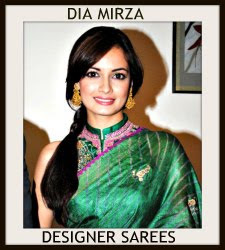 Paired with designer sleeveless saree blouse with square neck pattern. 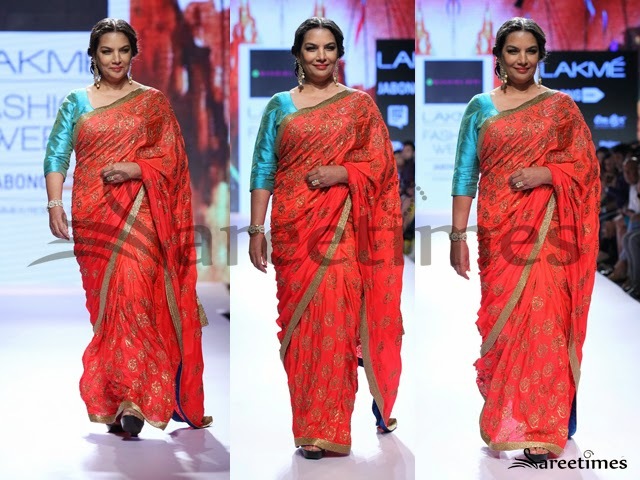 Bollywood celebrity walks in beautiful pink designer plain silk saree with gold,orange double borders. 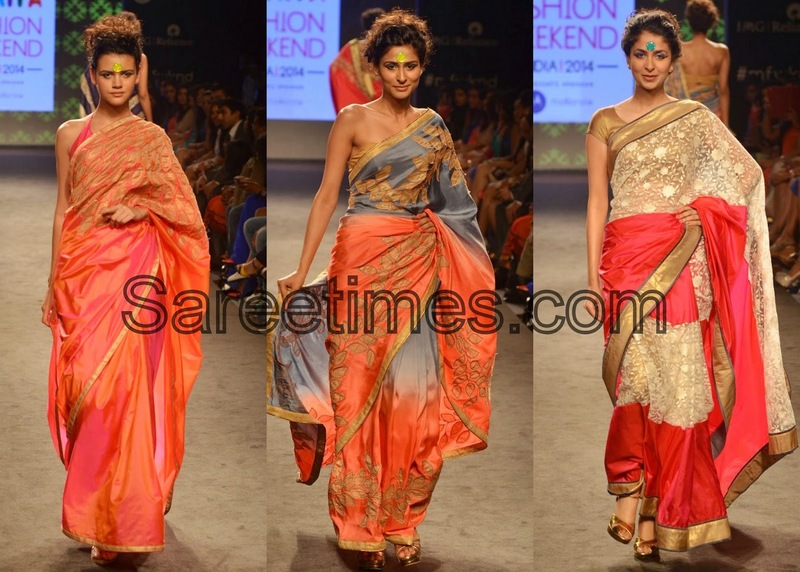 Designed by Mandira Bedi at Day 2 LFW Summer/Resort 2014. Gold embellished applique patch work on it. 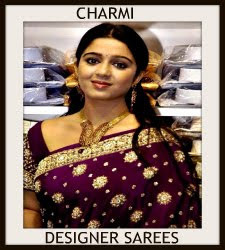 Paired with gold designer quarter sleeves saree blouse. 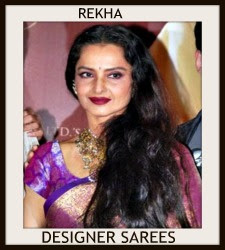 Bollywood celebrity in beautiful pink and orange designer silk half and half saree with gold embellished border. 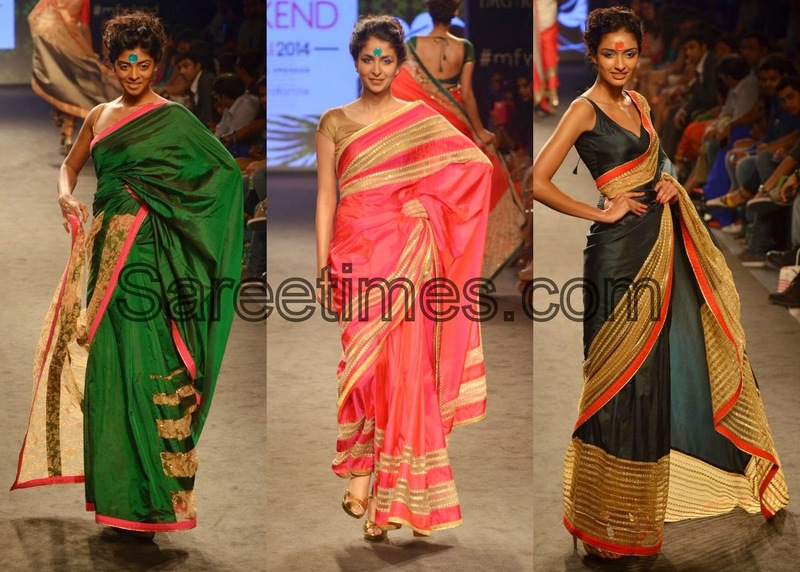 Designed by Mandira Bedi at Day 2 LFW Summer/Resort 2014. Paired with designer halter neck saree blouse. 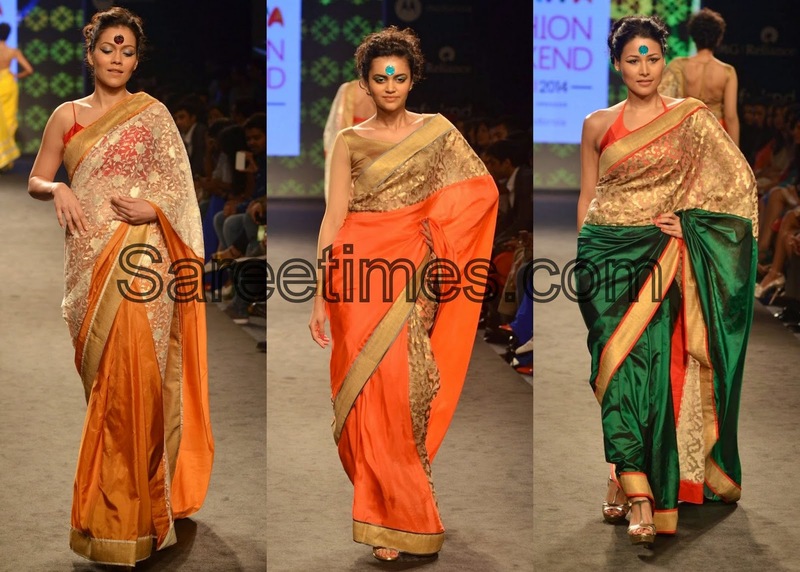 Model walks in beautiful orange designer plain georgette saree with gold embellished border. 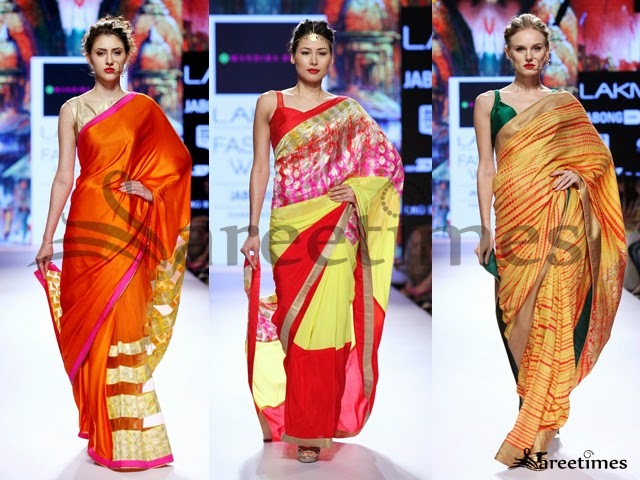 Designed by Mandira Bedi at Day 2 LFW Summer/Resort 2014. 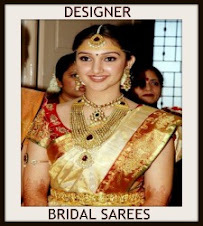 Paired with gold designer sleeveless saree blouse.